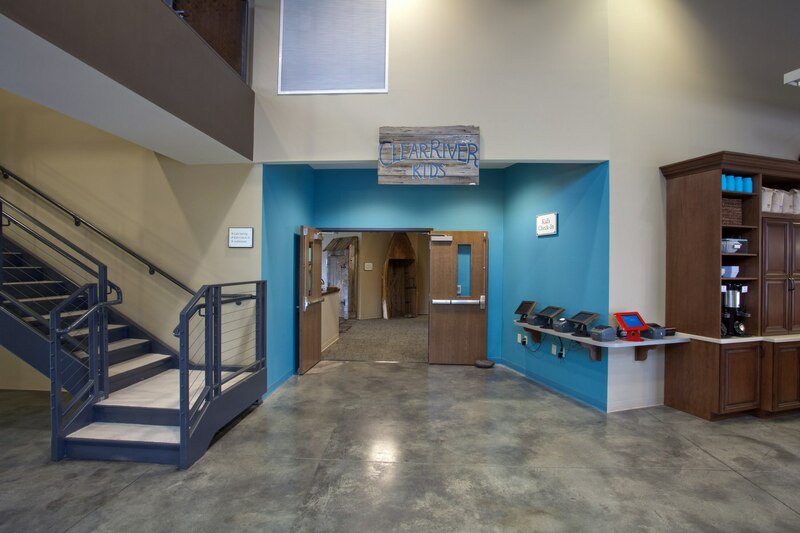 Clear River Church wants to be known as a congregation that lives out the message of Jesus, not just on Sundays, but in their day-to-day lives. 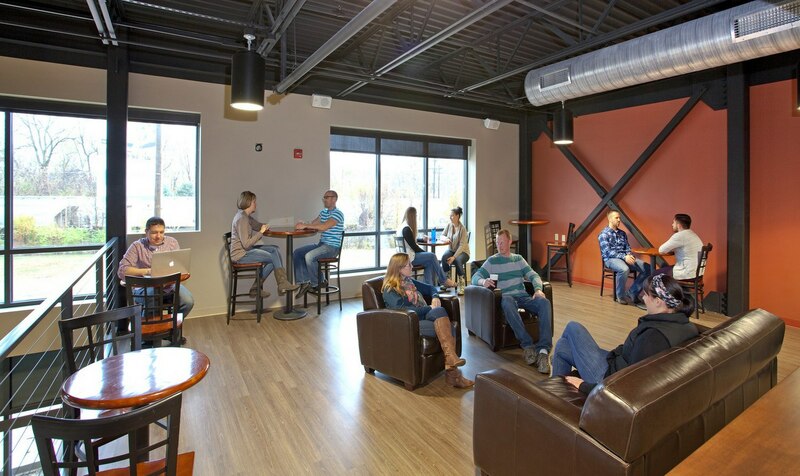 This non-denominational Christian church, located near downtown Lafayette, Indiana, just across the bridge from Purdue University, is comprised of approximately half college students and half people who live and work in the Lafayette area. 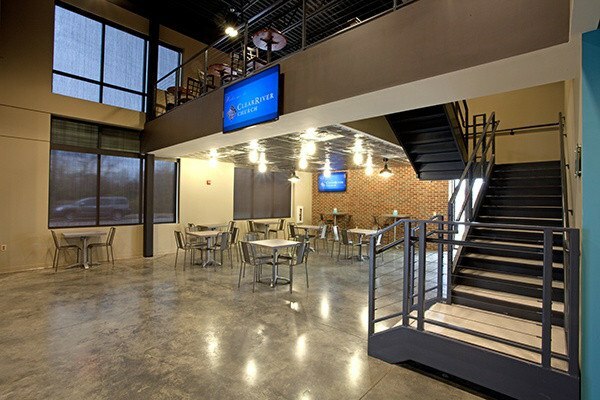 Its urban location reinforces the church’s value to meld work and faith. 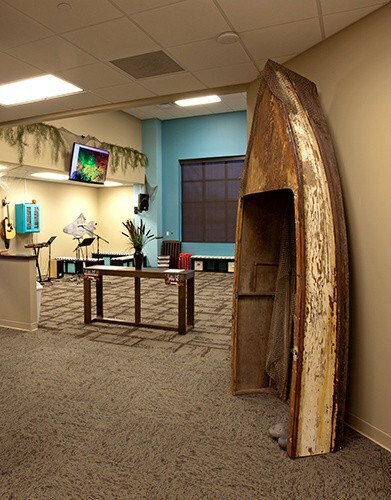 Aspen Group helped design a new church facility that would honor their desire to remain true to who they are as they reach more people in their local area. 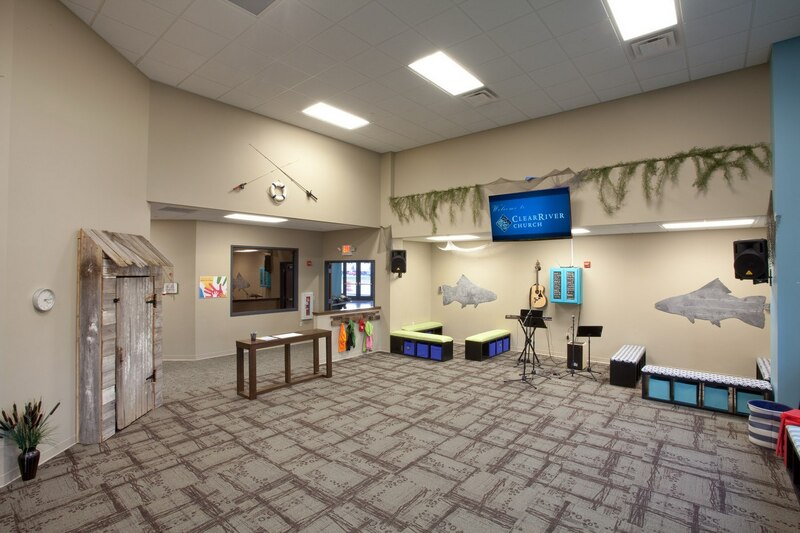 The ministry space needs are simple at Clear River—auditorium space to preach the Word of God and worship together, connecting space for fellowship, children’s space to disciple the next generation, and space for small groups so youth and adults can connect with God and each other in meaningful ways. 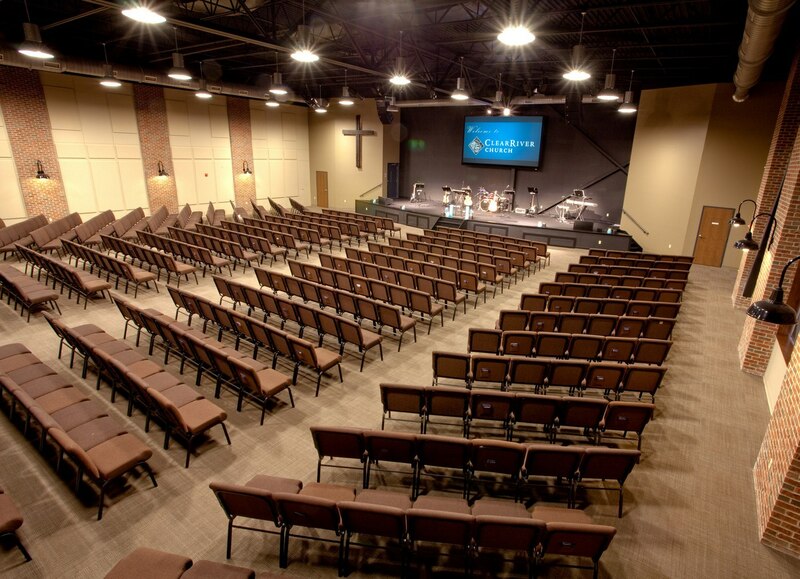 “Early in the interior design process, the church indicated that, first and foremost, the new space needed to feel like home to them,” says Dona Schnelle, interior designer for Aspen Group. 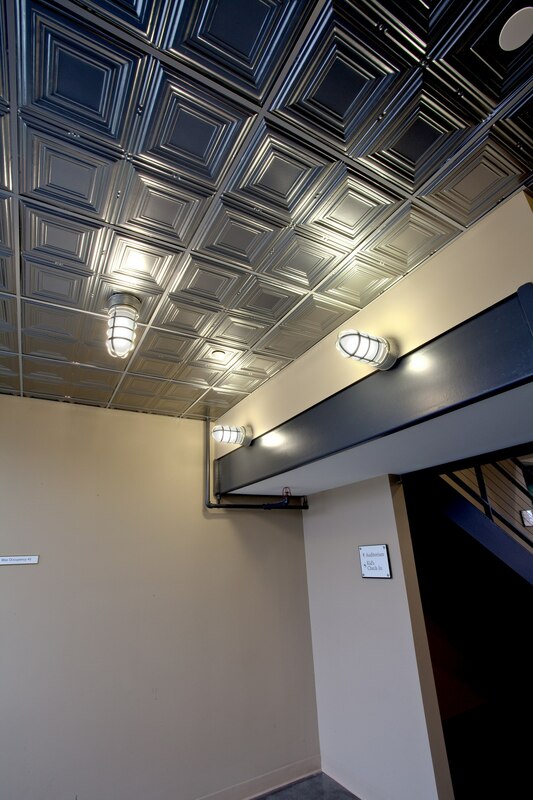 “Keeping that in mind, we took cues from their existing space and some of the older buildings in town.” By including details from the old building, and even pieces from the exterior itself, the new space retains the same feel as the old building and continues its beloved and unique legacy. 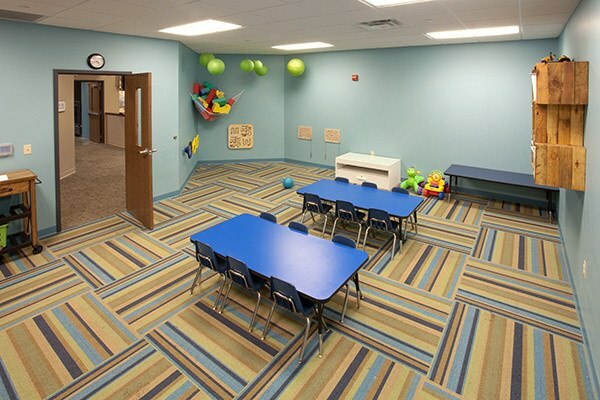 Beyond the café lies the children’s ministry area. “As more young families discover that our kids’ space is clean and safe and a good environment for their kids, we’re attracting more and more families,” says Miller. 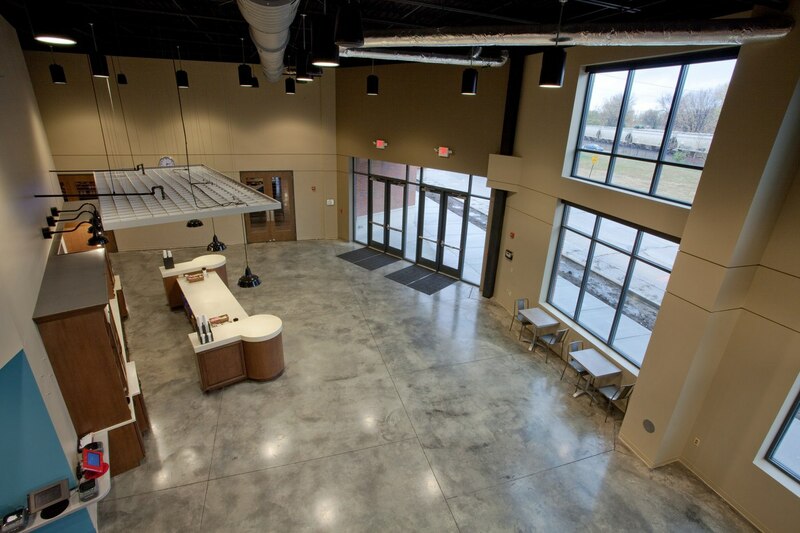 The visibility and credibility of the new building, however, has helped Clear River attract a different type of person to their church who wouldn’t have been comfortable walking into an old building.